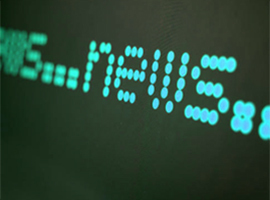 Newline Group (Newline) today announced the establishment of Newline Europe Versicherung AG (Newline Europe), a subsidiary of Newline Insurance Company Limited that will operate from Cologne, Germany and will serve as the Company’s new European Union insurance hub. “Newline’s history of underwriting German-based insurance risks dates back to 2002, so we are delighted to strengthen our footprint in Cologne and expand our platform by providing seamless and continuous service to our clients throughout Europe in the post-Brexit environment,” said Carl Overy, CEO of Newline Group. Newline received authorization to operate a capitalized, licensed insurance company in Germany from the German Federal Financial Supervisory Authority (BaFin) on 21 March 2019. Manuel Wirtz, who previously served as Newline’s general representative for Germany, has been appointed as Newline Europe’s chief executive officer. Newline Europe Versicherung AG has a Preliminary Credit Assessment of A pca (Excellent) by A.M. Best. Newline Group is a market leading specialty insurance group that operates through three underwriting platforms, Newline Syndicate 1218, Newline Insurance Company Limited and Newline Europe Versicherung AG. From its headquarters in London, offices in Cologne, Leeds, Malaysia, Melbourne, Singapore and Toronto, and presence at Lloyd’s China in Shanghai, Newline underwrites international casualty and cargo business in more than 80 countries around the world. Newline Group is part of the Odyssey Group, a leading worldwide underwriter of reinsurance and specialty insurance. Odyssey Group is wholly-owned by Fairfax Financial Holdings Limited.